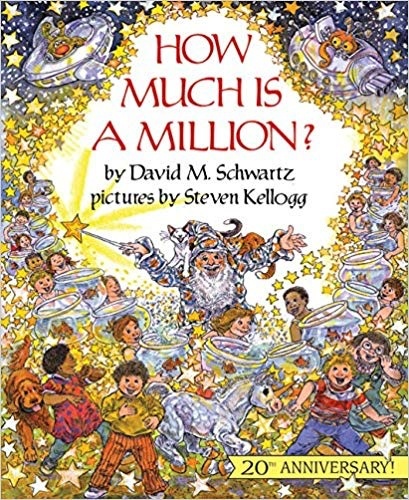 Home / How Much is a Million? 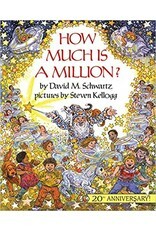 An attempt to help children conceptualize the immensity of numbers is aided immeasurably by the artist's jovial, detailed, whimsical illustrations. Marvelosissimo the Mathematical Magician demonstrates the meaning of a million by showing his four young friends (plus two cats, a dog, and a unicorn) that it would take twenty-three days to even count to a million and that a goldfish bowl large enough to hold a million goldfish could hold a whale.